Planning your search marketing strategy for 2017? Well, looking to the past can often be helpful when preparing for the future—especially in an ever-changing industry like search. Let’s see how the major events of 2016 could shape your online strategy for the new year. In May 2016, Google made their mobile-friendly ranking signal stronger with a real-time algorithm update. What This Means: Mobile devices dominate the search landscape: more people search via smartphones and tablets than desktops; mobile-only Internet use has eclipsed desktop; and a smartphone is the sole connected device over one-in-ten U.S. adults own. 1 2 3 Google knows this and wants to make sure the mobile user experience is quick and nimble. That’s why the company made mobile friendliness a ranking signal in April 2015. 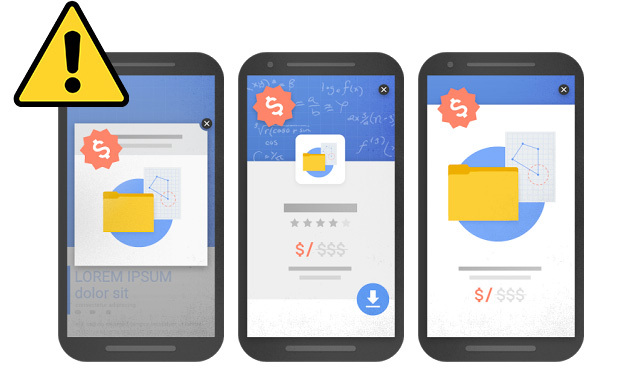 The mobile-friendly algorithm rewards sites whose user-experience (text, links, and graphics) is customized for the smaller screen of smartphones. Savvy Tip: Mobile will likely continue to become more important in 2017. Use the mobile guidelines and mobile friendly tool to get your site smartphone compatible. Last July, Google announced that RankBrain processes every single query, and that it’s the third most important ranking signal after links and content. What This Means: Google is in the business of returning rich, relevant content that satisfies users’ intent based on their search queries. Prior to RankBrain—their machine learning system—Google had a big problem: fifteen percent of the three billion searches it received daily were completely new; they had no user data on them to help their search engine provide relevant results. Thanks to machine-learning-powered algorithms that essentially teach themselves, RankBrain can now compare novel queries to popular ones Google already has data for and return results that are more intelligent. If user intent is more important, understanding your audience and aligning your content with their needs will be crucial to staying competitive. Longer content might perform better since it’s likely to answer user questions thoroughly and satisfy intent. User engagement metrics like Click-Through Rate, Time on Site, and Bounce Rate could become more important ranking factors, as they help Google’s search engine determine relevance. Instead of large manual Google updates, changes will likely occur more fluidly. In August, Google shared its plans to expand support for AMP across all mobile SERPs by the end of 2016. What This Means: Users care about mobile page speed, and Google has certainly hinted that it could be a ranking factor in the near future. 5 How do you make your mobile site faster? Accelerated Mobile Pages (AMP). Even AMP loaded with graphics, videos, and animations load four times faster and use ten times less data than pages without AMP HTML. Users are less likely to bounce from sites that load quickly. Given Google’s emphasis on site speed, AMP could be a ranking factor in the future. After January 10, 2017, a new ranking signal could push websites that use pop-ups, or what Google calls intrusive interstitials, down in the mobile SERPS. What This Means: When a user only has a minute to look something up on their smartphone, pop-up ads can be just as annoying as sluggishly loading pages. You may want to reconsider your pop-up strategy for Google referred mobile traffic. Ads/pop-ups that block the main content and pop up immediately after the user navigates to the page from Google mobile search results, or while they’re scrolling. Standalone ads that require user action to be dismissed. Above-the-fold ads on pages where the content is beneath the fold. Mobile-app-install request ads (these used to be checked by the mobile-friendly test but have since been incorporated into the new signal to avoid duplication). Some forms of interstitials won’t be affected by the new signal, such as legal notices, login requests, and appropriately sized banners. Possum mainly affected Local and Maps search results, not the organic ones. Businesses located just outside of physical city limits saw a rankings boost. Multiple businesses that share the same address but each have their own local listing are now being filtered so that only one business shows up for the location. Searchers’ locations have a greater impact on the search results. Nuances in keywords produce more varied search results. The local filter is operating more independently from the organic filter. What This Means: User experience is increasingly important in search marketing. Just as users want content that meets their specific needs, they also prefer sites that load quickly and securely. When you load a site over HTTP, others on the same network can view and even change the site before you see it. Savvy Tip: Switch to HTTPS! Nearly 50 percent of pages in the top 10 of SERPs now use HTTPS encryption. Additionally, Google’s eventual plan is to rollout a more alarming looking notification (example below), which could discourage visitors from using and staying on your website. As of September, Google confirmed the rollout of its real-time Penguin update. The update is not only quicker but also more granular, so it could assess specific pages instead of entire sites. What This Means: We’ve known link schemes are bad news for websites ever since the Google Penguin algorithm update of 2012. 11 Unfortunately, many owners who cleaned up their sites had to wait months or even years until Penguin refreshed to see improvements to their rankings. Not anymore! Savvy Tip: If you feel your website has been negatively impacted by Penguin, make sure your site meets Google’s quality guidelines. If you’ve built manipulative backlinks, remove them by asking site owners to delete them and/or submitting a disavow file to Google. In November, Google confirmed what its actions seemed to suggest all year: mobile will take precedence over desktop in 2017 and beyond. 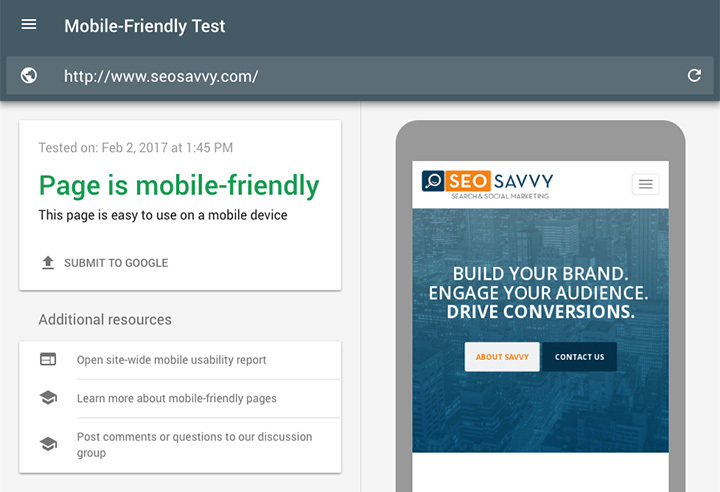 Savvy Tip: When Google fully rolls out the mobile-first index, it will rank your pages based on the mobile version of your website. This will make it more important than ever to have a responsive or dynamic mobile-friendly website with content and markup that is consistent across mobile and desktop. As the competition in the SERPs has skyrocketed, the complexity of search engines and search marketing has deepened—especially with users’ ever-escalating dependence on search. From desktops, to smartphones, to tablets, to personal digital assistants, search pervades our lives. If the major search marketing changes of 2016 tell us anything, it’s that machine learning and mobile will continue to grow in importance as Google’s objective shifts from returning results to queries typed into a search box to responding to verbal questions and commands. It only makes sense, then, that voice search and artificial-intelligence-driven digital personal assistants will also play a prominent role as the search purveyor seeks to give users an increasingly curated and accommodating online experience.